This post has been read 980 times! Update December 20, 2017- Governor Cuomo finally, reluctantly, signed the bill to supposedly mandate that two of the board seats on the BPCA are held by local residents. But he watered it down with added language making it uncertain at all whether any changes to the board will truly be made. Regardless, the bill unchanged would not have changed a thing. Appointed leaders of the BPCA are not “representation” by elected officials. Battery Park City residents still suffer taxation without representation. 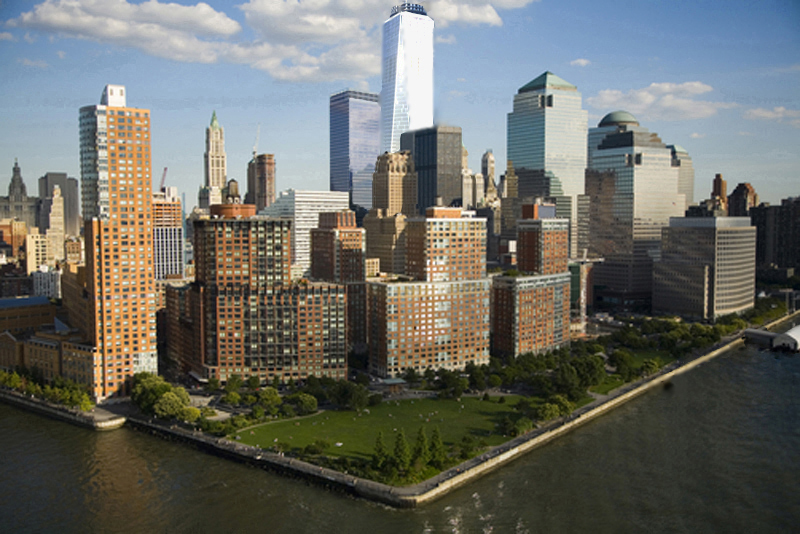 As most Battery Park City residents know, the Battery Park City Authority taxes the residents in the form of PILOT fees (Payment In Lieu of Taxes), ground leases, and facility fees. Those taxes are determined by state-appointed officials of the BPCA who are not elected by the people. First, the state legislature intentionally established the term PILOT fees to avoid the concept of taxation without representation. However, the Supreme Court has since ruled that simply rewording a tax does not make something not a tax. In the 2011 ruling on National Federation of Independent Business v Sebelius, et al, the SCOTUS ruled that the “penalty” imposed by the Obamacare ACA to those who fail to purchase insurance is just a tax masquerading under a different name. Likewise, the BPCA’s PILOT fees would very likely be ruled by federal courts to also be taxes masquerading by a different name. If it looks like a tax, sounds like a tax, then it’s a tax. The BPCA is a public benefit corporation established by the State of New York. Chairman Dennis Mehiel is not an elected representative of the people of BPC. Only the New York State government of New York City government can impose taxes on the people of BPC. The PILOT fees are indeed illegal taxation without representation. The current SCOTUS would likely lean in favor of any anti-taxation lawsuit, and use the same rationale that was used in 2011 in the Obamacare challenge. The BPCA would argue that the PILOT fees are state taxes and not a federal matter. However, the federal courts would have to decide whether Article I, above, applies to all taxes. A state government cannot violate the federal First Amendment, for example. In this case, does Article I apply to all forms of government taxation, including state taxes? Then, there is the matter of the BPCA being a public benefit corporation rather than a state agency, and corporations are not bestowed with any taxation powers by the constitution. That is why the legislation creating the BPCA intentionally used the clever term of Payments in Lieu of Taxes (i.e. PILOT) rather than “taxes”, knowing that a corporation is not allowed to tax. Other “authority” corporations of the Tri-State area, such as the Port and Throughway Authorities, charge fees for usage of their bridges, highways, and airports. However, those are less of a “taxation” than the property taxes masquerading as PILOT fees charged to actual residents of the authority. People don’t live in the airports or bridges (except for the homeless), but people actually live in BPC and unelected officials are exacting taxes from them. Someone like City Council candidate Aaron Foldenauer, a lawyer with Ninth Circuit experience, or one of the many Ivy League lawyers who live in BPC, should rise up and file a federal class action to abolish the BPCA altogether. It is as UnAmerican as British rule. This entry was posted in - City government, - Downtown oversight, - Federal government, - Politics, - Real estate, - State Government, Battery Park City and BPCA, Lawyers, Op-Ed, Political Essays. Bookmark the permalink. The taxes and exorbitantly high maintenance costs in BPC make these apartments unaffordable and even unsellable. At least when prices were lower, the middle class could afford the sale price and basically have to stomach the maintenance and taxes. Now studios &1 bedrooms going for $800,000 + and with $2200-3500 (cove club) monthly fees and taxes guarantee BPC will be for the very wealthy Goldman Sachs bankers. Why does an apt in BPC have a $3000 maintenance when a nicer apt in Fidi have $600…? If the apts. are unsaleable, why do the prices keepi increasing? For the same reasons storefronts are empty as rents increase. Greed. It’s a long-term strategy of landlords to hold out in hopes of eventually selling. Basic supply and demand do not matter to real estate.